Problem gambling, known as the “Hidden Addiction,” gets its nickname due to the fact that many symptoms do not present themselves physically as is the case in substance addictions. This means that many individuals suffering from Gambling Disorder often do so alone, potentially increasing feelings of isolation and depleting self-worth. According to data collected by the 888-ADMIT-IT HelpLine, more than one in five callers reported having suicidal ideation. Additionally, almost three-quarters of callers reported experiencing additional emotional difficulties such as depression and anxiety. Although we are unable to pinpoint the exact reason for such a strong connection between suicidal ideation and Gambling Disorder, it is possible that financial, legal, and relationship issues all play a role. As a gambling addiction progresses, it becomes more difficult for that individual to contribute to the household, leaving some to believe the only solution is to end their life. Although talking to someone you believe might be considering suicide may be difficult, it is extremely important to open the line of communication and connect individuals in crisis to local help and services. That difficult conversation can save a life. For more information on suicide and prevention visit, https://afsp.org/. If you or someone you know is suicidal, please contact the 24/7 national suicide prevention lifeline at 800-273-TALK (8255). To be directly connected to someone who speaks Spanish, call 888-628-4889. 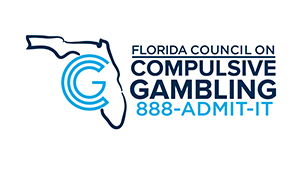 To learn more about gambling disorder or if you or someone you know has a gambling problem call Florida’s 24/7, confidential, and multilingual HelpLine 888-ADMIT-IT (236-4848). 1. “Suicide Statistics.” AFSP, American Foundation for Suicide Prevention, 2018, afsp.org/about-suicide/suicide-statistics/. 2. Gaines, James. “If You Know Someone Who Might Be Suicidal, Here Are 12 Helpful Suggestions from Experts.” Upworthy, 9 Sept. 2016, www.upworthy.com/if-you-know-someone-who-might-be-suicidal-here-are-12-helpful-suggestions-from-experts. 3. “Risk Factors and Warning Signs.” AFSP, American Foundation for Suicide Prevention, 12 June 2018, afsp.org/about-suicide/risk-factors-and-warning-signs/.